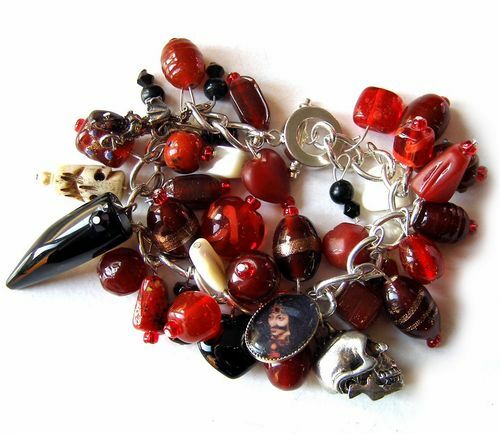 Some of the main symbols that are used for Gothic vampire jewelry include fangs, blood themes, and coffins. Bats are also commonly associated with vampires, and are popular amongst the Gothic culture. 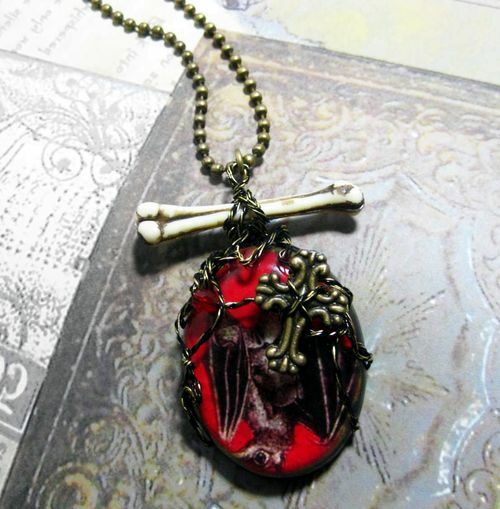 On the less morbid side, you might see these combined with romantic images, including hearts and roses, to symbolize the type of immortal love that vampires are known for, and which gives them the melancholy and romantic edge. Dragons and other supernatural beings also fit into this theme, and you may see these as well in the current offerings. 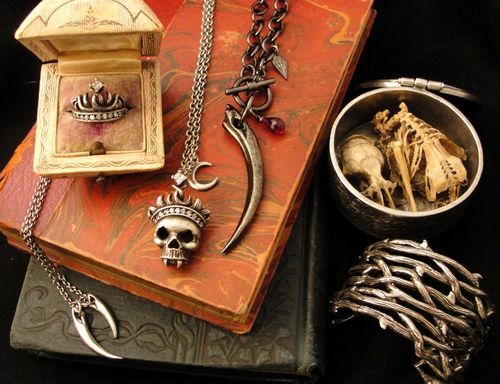 If you are uncomfortable wearing a full necklace or other adornment of this nature, another alternative that falls within the category of Gothic vampire jewelry is a belt. Wide leather belts are ideal for those who are looking for a way to accent their outfits where it counts, and with vampire themed buckles, you can add an aura of mystery to your appearance. This can then be further accented with the right makeup, for a full look that will captivate your audience, whoever it may be. The romance and intrigue of vampires lives on in the Gothic style. The jewelry in the top picture is from my website. Thanks for posting it!